h = lmtest(score,ParamCov,dof) returns a logical value (h) with the rejection decision from conducting a Lagrange multiplier test of model specification at the 5% significance level. lmtest constructs the test statistic using the score function (score), the estimated parameter covariance (ParamCov), and the degrees of freedom (dof). h = lmtest(score,ParamCov,dof,alpha) returns the rejection decision of the Lagrange multiplier test conducted at significance level alpha. If score and ParamCov are length k cell arrays, then all other arguments must be length k vectors or scalars. lmtest treats each cell as a separate test, and returns a vector of rejection decisions. If score is a row cell array, then lmtest returns a row vector. [h,pValue] = lmtest(___) returns the rejection decision and p-value (pValue) for the hypothesis test, using any of the input arguments in the previous syntaxes. [h,pValue,stat,cValue] = lmtest(___) additionally returns the test statistic (stat) and critical value (cValue) for the hypothesis test. Compare AR model specifications for a simulated response series using lmtest. where εt is Gaussian with mean 0 and variance 1. Specify this model using arima. Mdl is a fully specified, AR(3) model. y is a a random path from Mdl that includes presample observations. where εt is Gaussian with mean 0 and variance σ2. The structure of Mdl0 is the same as Mdl. However, every parameter is unknown, except that ϕ3=0. This is an equality constraint during estimation. Estimate the restricted model using the simulated data (y). EstMdl0 contains the parameter estimates of the restricted model. Evaluate the unrestricted parameter covariance estimator using the restricted MLEs and the outer product of gradients (OPG) method. Test the null hypothesis that ϕ3=0 at a 1% significance level using lmtest. pValue is close to 0, which suggests that there is strong evidence to reject the restricted, AR(2) model in favor of the unrestricted, AR(3) model. xk is the number of grades that person k completed. yk is the income (in thousands of USD) of person k.
That is, the income of person k given the number of grades that person k completed is Gamma distributed with shape ρ and rate βi. The restricted model sets ρ=1, which implies that the income of person k given the number of grades person k completed is exponentially distributed with mean β+xi. where Ψ(ρ) is the digamma function. The gradient with respect to β (dLBeta) is decreasing, which suggests that there is a local maximum at its root. Therefore, betaHat0 is the MLE for the restricted model. fVal indicates that the value of the gradient is very close to 0 at betaHat0. The exit flag (exitFlag) is 1, which indicates that fzero found a root of the gradient without a problem. Estimate the parameter covariance under the restricted model using the outer product of gradients (OPG). Test the unrestricted model against the restricted model using the Lagrange multiplier test. pValue is close to 0, which indicates that there is strong evidence to suggest that the unrestricted model fits the data better than the restricted model. Test whether there are significant ARCH effects in a simulated response series using lmtest. The parameter values in this example are arbitrary. Mdl is a fully specified, AR(1) model with an ARCH(1) variance. ep is the random path of innovations from VarMdl. The software filters ep through Mdl to yield the random response path y. The structure of Mdl0 is the same as Mdl. However, every parameter is unknown, except for the restriction α1=0. These are equality constraints during estimation. You can interpret Mdl0 as an AR(1) model with the Gaussian innovations that have mean 0 and constant variance. Under the null, restricted model, ht=h0=αˆ0 for all t, where αˆ0 is the estimate from the restricted model analysis. Evaluate the gradient and information matrix under the restricted model. Estimate the parameter covariance by inverting the information matrix. Test the null hypothesis that α1=0 at the 5% significance level using lmtest. pValue is close to 0, which suggests that there is evidence to reject the restricted AR(1) model in favor of the unrestricted AR(1) model with an ARCH(1) variance. 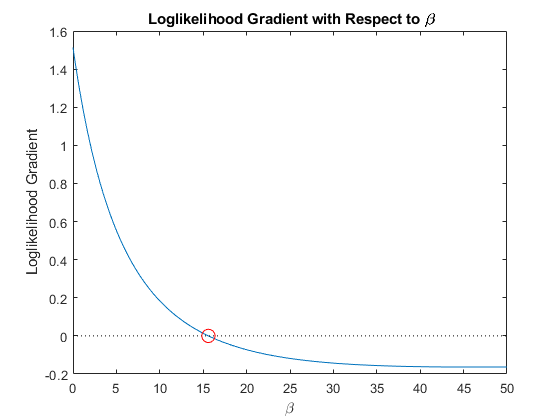 Unrestricted model loglikelihood gradients evaluated at the restricted model parameter estimates, specified as a vector or cell vector. For a single test, score can be a p-vector or a singleton cell array containing a p-by-1 vector. p is the number of parameters in the unrestricted model. For conducting k > 1 tests, score must be a length k cell array. Cell j must contain one pj-by-1 vector that corresponds to one independent test. pj is the number of parameters in the unrestricted model of test j.
Parameter covariance estimate, specified as a symmetric matrix of cell array of symmetric matrices. ParamCov is the unrestricted model parameter covariance estimator evaluated at the restricted model parameter estimates. For a single test, ParamCov can be a p-by-p matrix or singleton cell array containing a p-by-p matrix. p is the number of parameters in the unrestricted model. For conducting k > 1 tests, ParamCov must be a length k cell array. Cell j must contain one pj-by-pj matrix that corresponds to one independent test. pj is the number of parameters in the unrestricted model of test j. Degrees of freedom for the asymptotic, chi-square distribution of the test statistics, specified as a positive integer or vector of positive integers. If dof is a scalar, then the software expands it to a k-by-1 vector. If dof is a vector, then it must have length k.
V is the covariance estimator for the unrestricted model parameters, evaluated at the restricted parameter estimates. If LM exceeds a critical value in its asymptotic distribution, then the test rejects the null, restricted (nested) model in favor of the alternative, unrestricted model. The asymptotic distribution of LM is chi-square. Its degrees of freedom (dof) is the number of restrictions in the corresponding model comparison. The nominal significance level of the test (alpha) determines the critical value (cValue). Analytically compute the score and parameter covariance estimator based on the innovation distribution. Use estimate to estimate the restricted model parameters. Evaluate the score and covariance estimator at the restricted model estimates. Pass the evaluated score, restricted covariance estimate, and the number of restrictions (i.e., the degrees of freedom) into lmtest. waldtest only requires unrestricted parameter estimates. 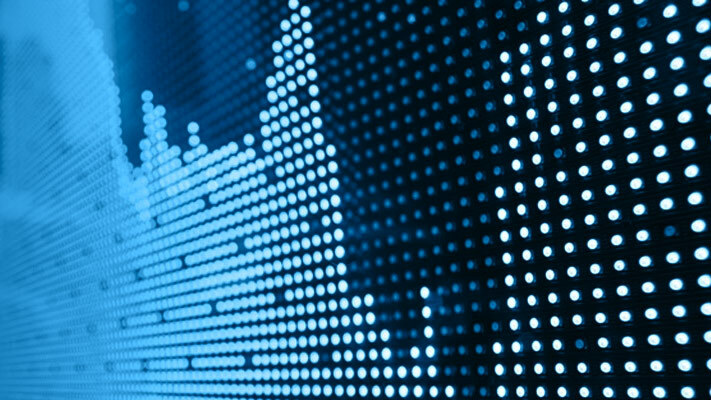 lratiotest requires both unrestricted and restricted parameter estimates. lmtest performs multiple, independent tests when inputs are cell arrays. If the gradients and covariance estimates are the same for all tests, but the restricted parameter estimates vary, then lmtest “tests down” against multiple restricted models. If the gradients and covariance estimates vary, but the restricted parameter estimates do not, then lmtest “tests up” against multiple unrestricted models. Otherwise, lmtest compares model specifications pair-wise. alpha is nominal in that it specifies a rejection probability in the asymptotic distribution. The actual rejection probability can differ from the nominal significance. Lagrange multiplier tests tend to under-reject for small values of alpha, and over-reject for large values of alpha. Lagrange multiplier tests typically yield lower rejection errors than likelihood ratio and Wald tests.